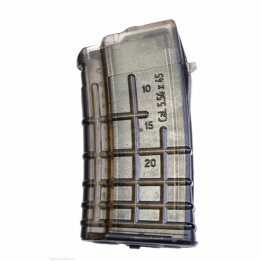 MAGAZINE for 5.45x39mm caliber rifles in 30 rd. capacity, Original Bulgarian Circle 10 magazine, Black Polymer Body. 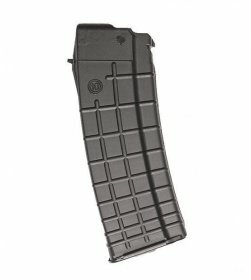 MAGAZINE for (5.56x45) (.223 cal.) caliber rifles in "Clear Waffle Pattern" style. 30 rd. capacity, Original Bulgarian Circle 10 magazine. 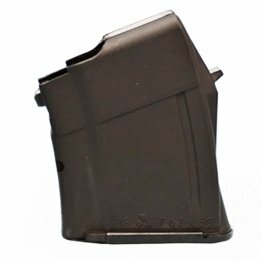 MAGAZINE for (5.56x45) (.223 cal.) caliber rifles in "Clear Waffle Pattern" style. 20 rd. capacity, Original Bulgarian Circle 10 magazine. 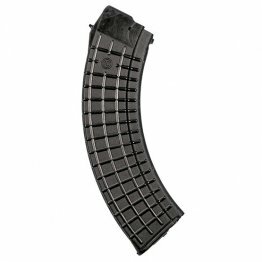 AK-47 MAGAZINE for 7.62x39mm caliber rifles in "Waffle Pattern" style. 30 rd. capacity, Original Bulgarian Circle 10 magazine, Black Polymer Body. 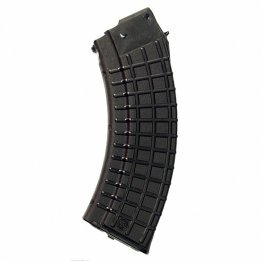 AK-47 MAGAZINE for 7.62x39mm caliber rifles in "Waffle Pattern" style. 40 rd. 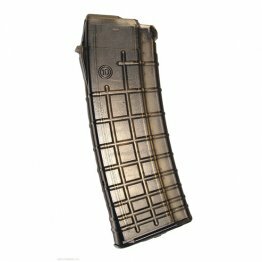 capacity, Original Bulgarian Circle 10 magazine, Black Polymer Body.